Have you got what it takes to style your business up to incredible heights? Her Madgesty has done brilliantly for herself this time! Preparing a half-century birthday, she’s rocking her Most Successful Female Recording Artist in History title with steady hands and clear vision. She managed to make millions from her upcoming album still off the racks! 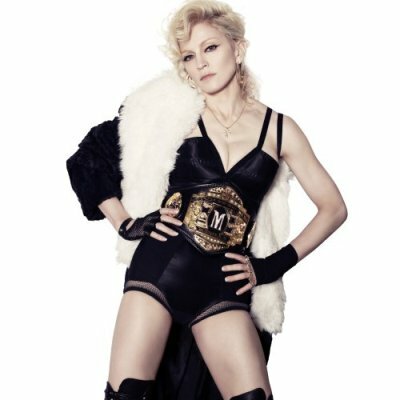 Corporate giants tune into Madonna’s ray of light to promote their products, hoping her Madgesty’s money grace will fall down upon them. Vodafone signed a never heard of before deal permitting the network’s customers to listen 7 tracks one week before the Hard Candy release (April 28). Unilever Sunsilk commercial features (already) one of her singles from the new album (4 Minutes). Fuji signed on “Miles Away”, another upcoming title to become a drama-theme. So I guess now there’s no more the question of growing tired of Madonna’s cover appearances but let’s see how many magazines she can get into (without taking her boots off) to promote her Madgestic self and her madgestic products. Hmm, all these lucrative deals and looking whom she got the deals with makes me wonder what this record is all about. I believe I’m already tired of the new album as I am already of all that covers…. I guess when you reach a certain age in the business, your interests expand quickly and a thoroughly planned material project is far more interesting than a simple song record deal. We’ll see (hear) what’s it like and hopefully get to talk about it too.